St. Mary’s Hospital was plagued with financial difficulties and many people in the community assumed that the hospital was closed (or would soon be shutting their doors). 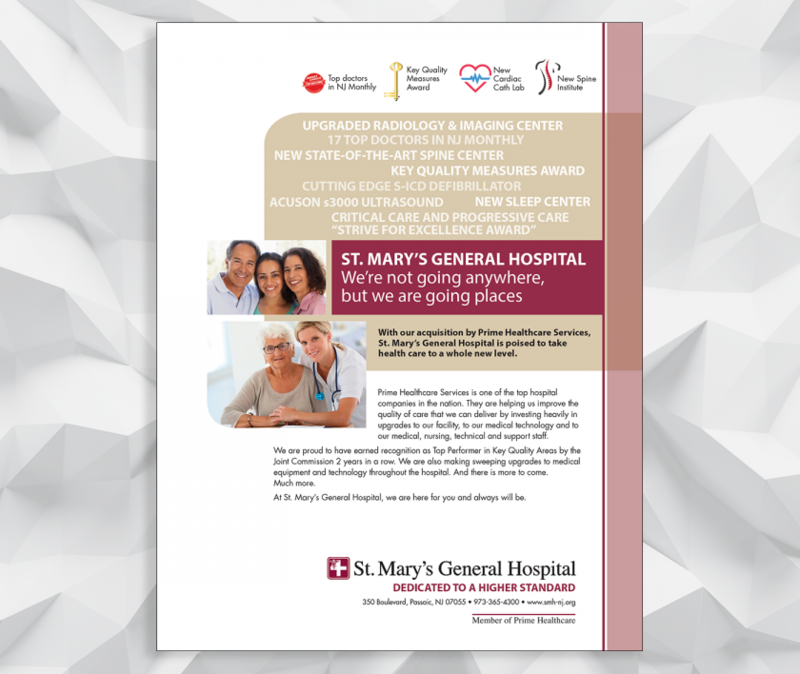 St. Mary’s emerged from chapter 11 with the help of Prime Healthcare – who provided a large capital investment for much needed improvements. 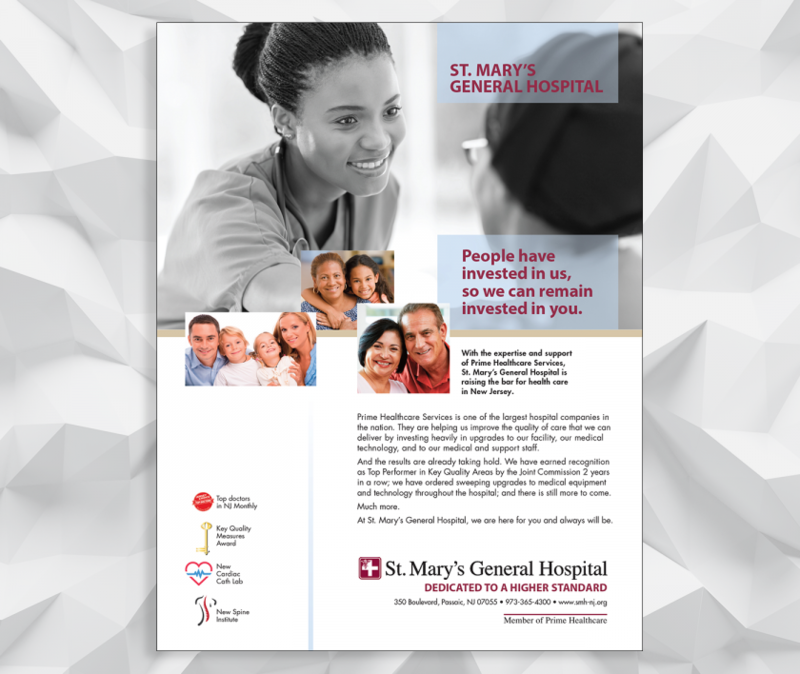 This integrated marketing campaign was meant to increase awareness about St. Mary’s, their new name (St. Mary’s General Hospital), and their acquisition by Prime Healthcare. The other objective was to make the public aware of the many enhancements to the facility and improvements in the level of care. 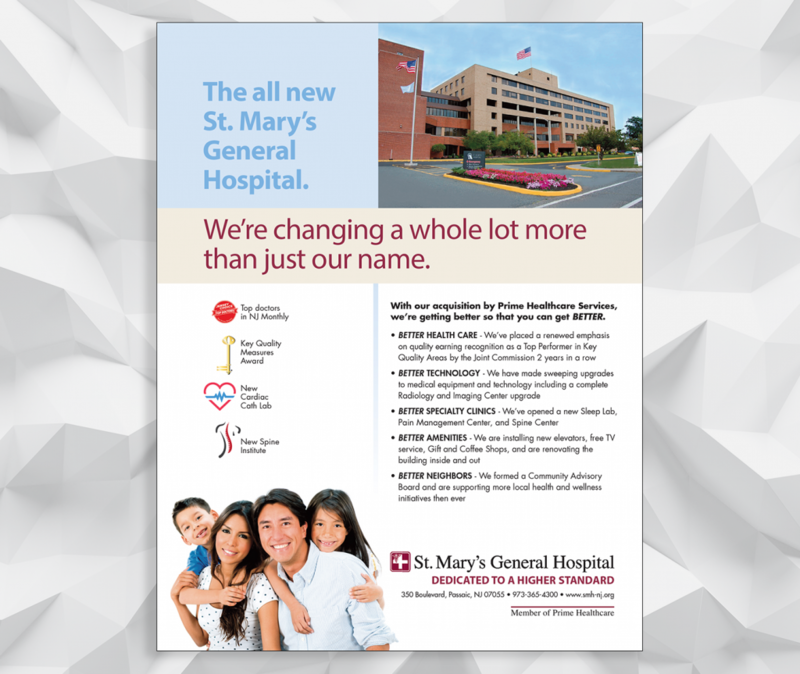 The re-branding effort included a series of targeted print and digital ads, in addition to posters and signage in and around the hospital. The tagline: “Dedicated to a higher standard” reinforces their commitment to quality health care.